Envision Central Texas held their 2011 Community Stewardship Awards at the Hilton Austin Hotel to honor organizations and individuals assisting public development and implementation of a regional Vision addressing the growth of a five-county region in Central Texas, with an emphasis on land use, transportation, and the environment. New Development – recognizes developments that are constructed on previously undeveloped sites and successfully exemplify the Envision Central Texas Vision. Redevelopment – acknowledges developments that re-use existing structures or sites and successfully exemplify the Envision Central Texas Vision. Innovation – highlights an individual, company, organization or government entity that has taken an innovative approach to growth challenges in ways that will foster the Envision Central Texas Vision. Public Planning and Policy – recognizes an organization or government entity for implementing a program or policy that facilitates and promotes the Envision Central Texas Vision. 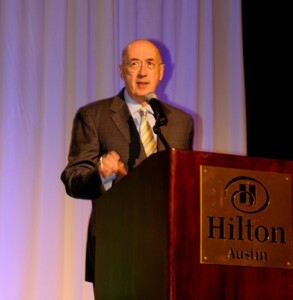 Raising Public Awareness – acknowledges an organization for educating the public or raising awareness of the Envision Central Texas principals.